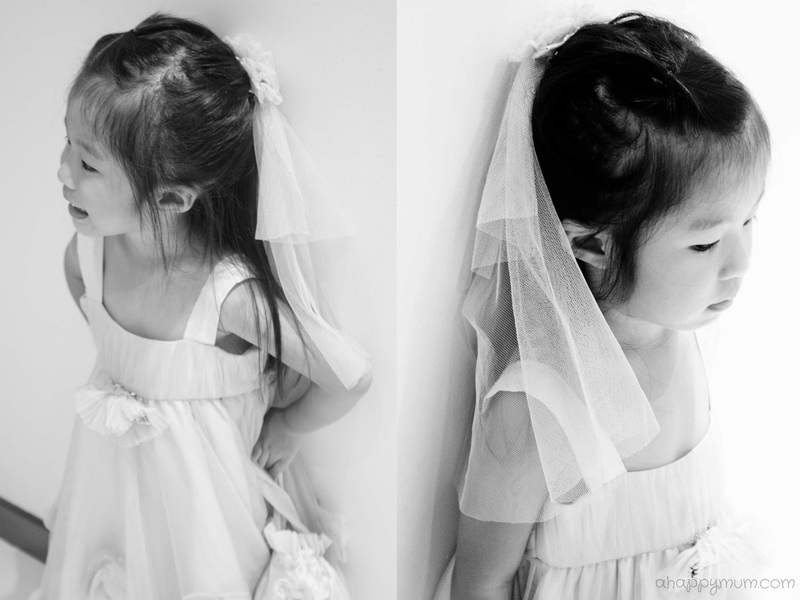 There is the girly type of girl who loves pink, princesses, tiaras and plays with dolls and make-up. Then there is the not-so-girly type of girl who loves cars, insects, robots and plays with toy guns and trains. My girl is a fusion of both. While she loves to play football and doesn't mind getting muddy, she also likes to be the fairytale princess and pretend that she is the most beautiful kid in the universe. 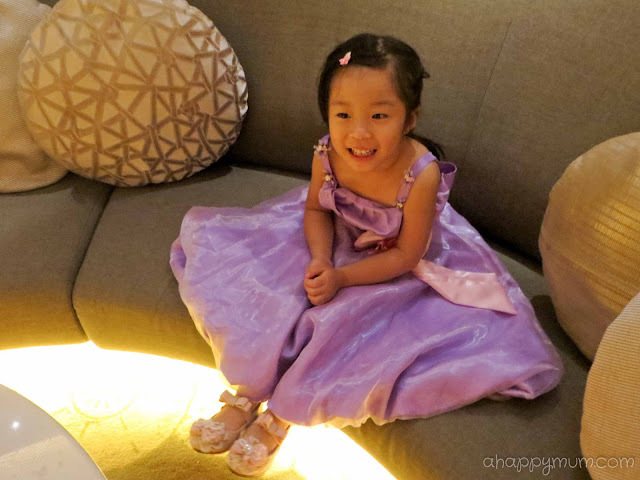 When Little Princess Wardrobe sent over two gorgeous princess dresses for review, her eyes lit up the moment she saw them and let's just say they brought out the girliest side of my soon to be 4-year-old. We picked out the dresses together and the first time we saw this beautiful lavender dress, both Angel and I fell in love with it because it was simply gorgeous. 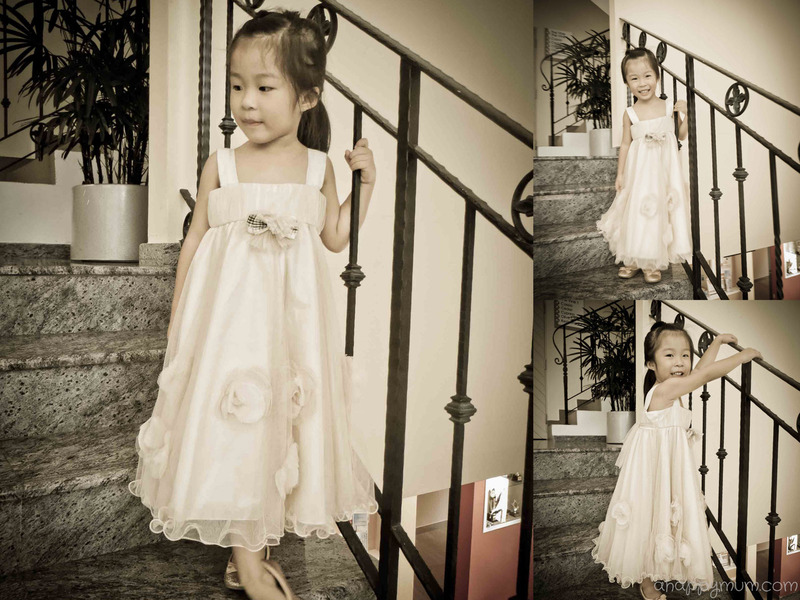 This bubble dress comes with an organza overlay and the floral details on the straps add on a touch of elegance. I like how the waistband is accentuated with a pink sash, which is held together with a big bow and intricate flower centerpiece, because it makes her look gracefully slim and tall. The ruffles above the waist make this dress look modern and chic while the A-line bottom lends a demure yet mature look to my girl. 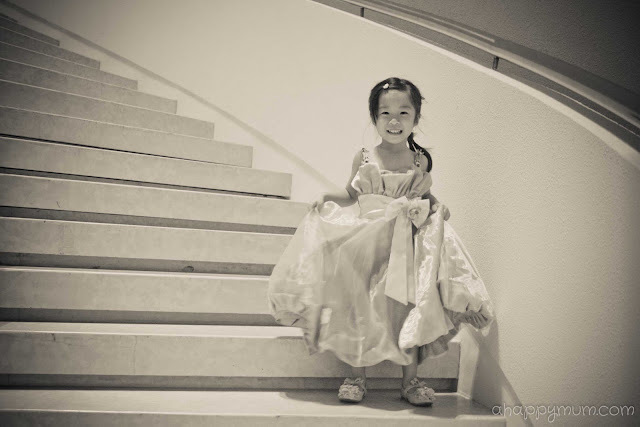 In fact, it seems like suddenly she is all grown up and I can't believe that she is only turning four this year. It's amazing how clothes can make a difference, isn't it? This will be a perfect gown for her to wear for a dinner, wedding or birthday party. In any case, when it comes to girls and dresses, there doesn't need to be a reason to dress up, right? 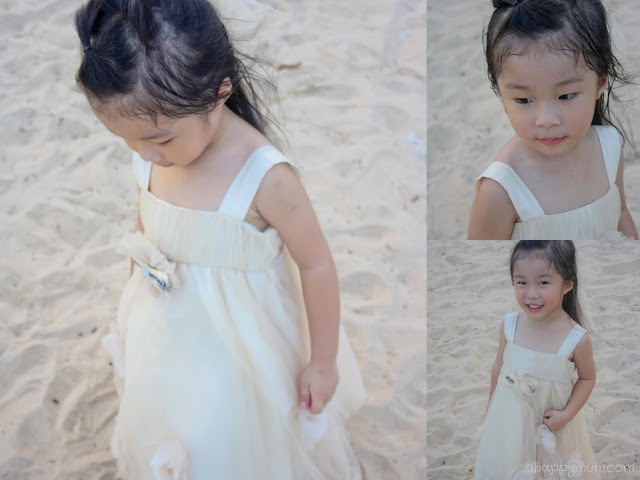 The second dress is my preferred choice because it is a little less formal than the first and can be worn out any day - A pretty, flowy summer dress that fits my girl to a T.
I love the huge, elaborate tulle blooms which are the highlights of the dress. The beautiful Burberry-inspired ribbon and use of diamantes also add on glamour and posh to this stylish-looking piece. As a petticoat had already been incorporated into the dress, my girl did not need to put on an underskirt and the fact that she wore this to the beach and could still jump, play and run bear testimony that she felt at ease and comfortable in it. 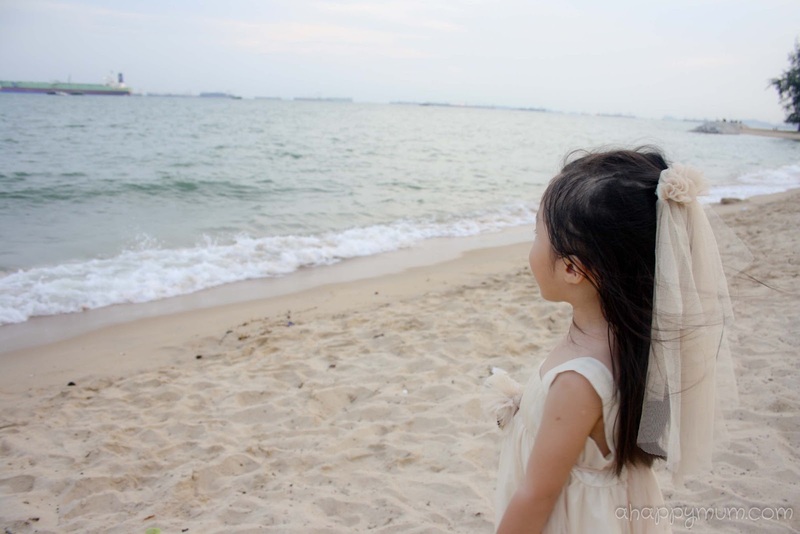 Oh, she even built sandcastles when dressed like a princess. Well, if it makes you happy, my dear. Her favourite part of the dress turned out to be the accessories - a cute little matching bag and a hairclip accessory, which according to her, is the wedding veil. So, we call this dress "The wedding gown" and when she put it on, she looked like the most beautiful "bride" and I couldn't help but feel a tug at my heart when I thought of the day she would walk down the aisle. Seeing the look of joy on her face, I am more in love with my girly girl and beautiful dresses than ever. Thanks to Little Princess Wardrobe for showing me how beautiful my girl can be and to dear Angel, know that you have always been and will always be a princess in mummy's eyes. 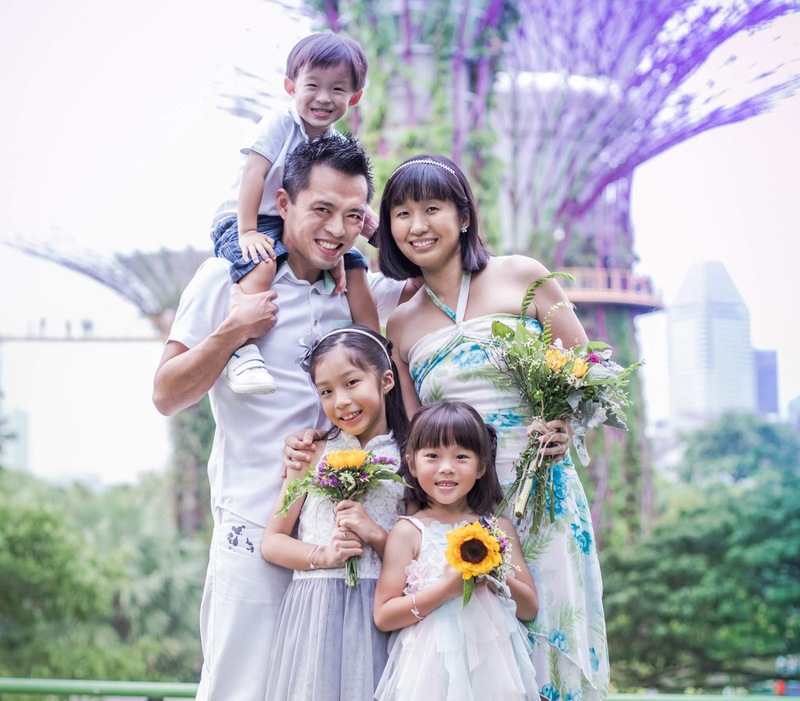 Little Princess Wardrobe is an online boutique for babies, children and kids clothing based in Singapore. 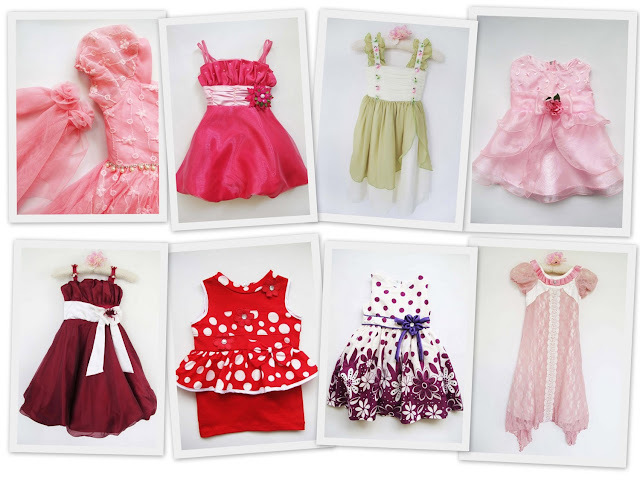 They specialise in dressing the little princess in every baby and little girl for special occasions such as flower girl, weddings, communion, birthdays, holidays, pageants, parties and they also carry a range of casual dresses for the everyday princess. For more information, visit their website or Facebook page. For those of you who also love to dress up your girls in princess wear, good news! 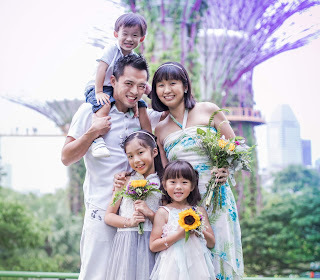 A Happy Mum is now giving away SGD$40 vouchers to two lucky readers to shop for their favourite princess dresses (for girls from 0-8 years of age) from Little Princess Wardrobe. Simply follow the steps below to enter! 1) This giveaway is open to readers worldwide. 2) Voucher codes have a validity of one month and can only be applied to merchandise before shipping. Local standard post is free of charge but if you opt for registered post or require international shipping, charges will be incurred accordingly. Disclosure: A Happy Mum received the above complimentary dresses from Little Princess Wardrobe for the purpose of this review. No monetary compensation was received and all opinions are my own. Angel looks SOOO gorgeous! Eh, my Zoie is a little young, but since you mentioned 0 years onwards, so okay la. Hahaha! I hope I can win a cute princess dress for my cute little princess. I love her picture at the beach! Gorgeous!!! I had wet eyes cos you're right, it looks so much like a wedding gown... And I bus know the day my girls walk down the aisle I will be happy but also bawling away!!!! 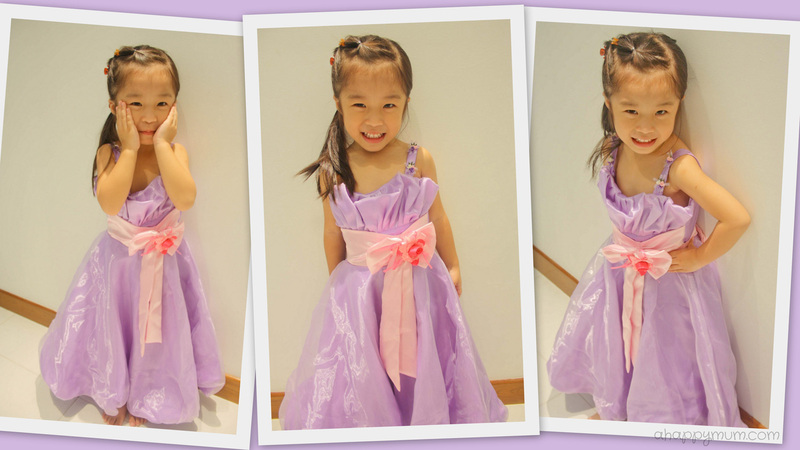 My girl who just turned 4, loves dresses that can twirl and make her look like a princess. I guess its every girl's dream to dress like a princess. The Annabelle dress in caramel would look good on her! Thanks for hosting the giveaway. 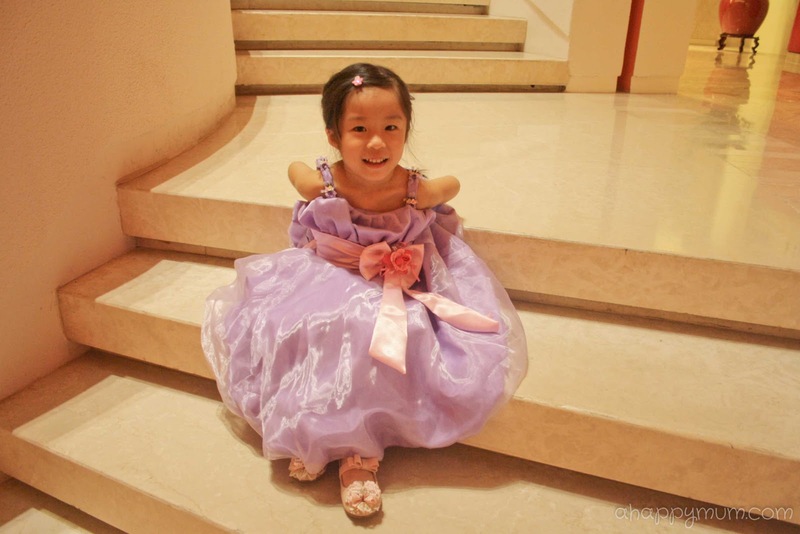 I hope to dress my girl up like a princess! Hullo! Layla's not outgrown her princess fantasies, so am here to try my luck. I hardly join contests so I kept clicking away at that Rafflecopter screen thinking I could leave a comment from there! p.s. 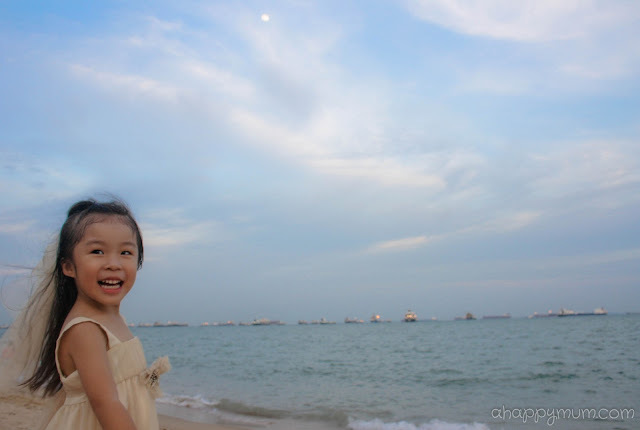 Like Angel, my daughter's a mix of tomboy + girly too! 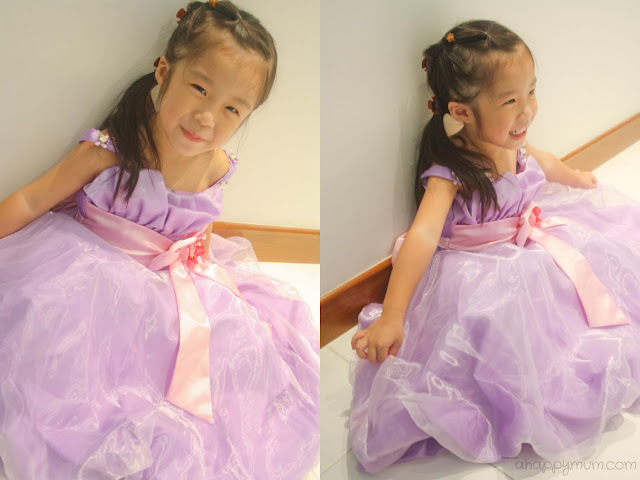 i would love to get my daughter who's turning 2 a lovely princess dress! 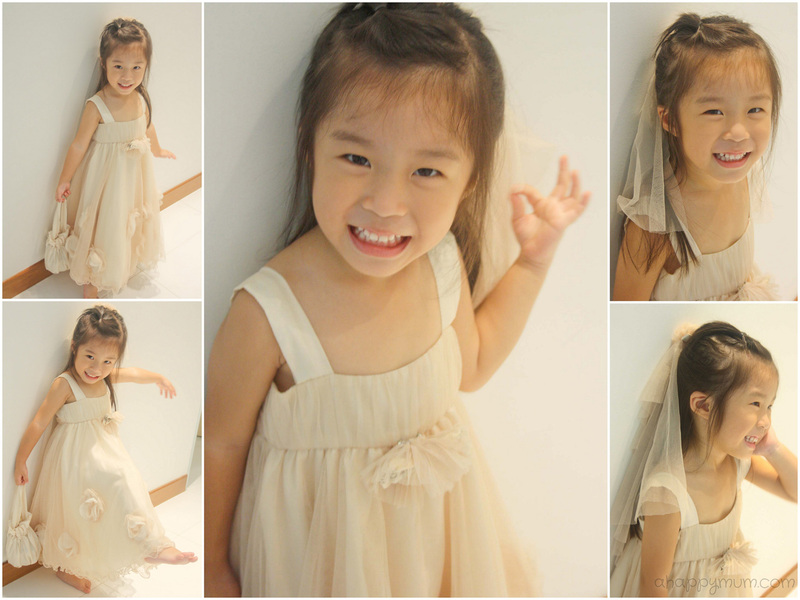 p/s: Angel looks sooooo princessy and lovely in both dresses! 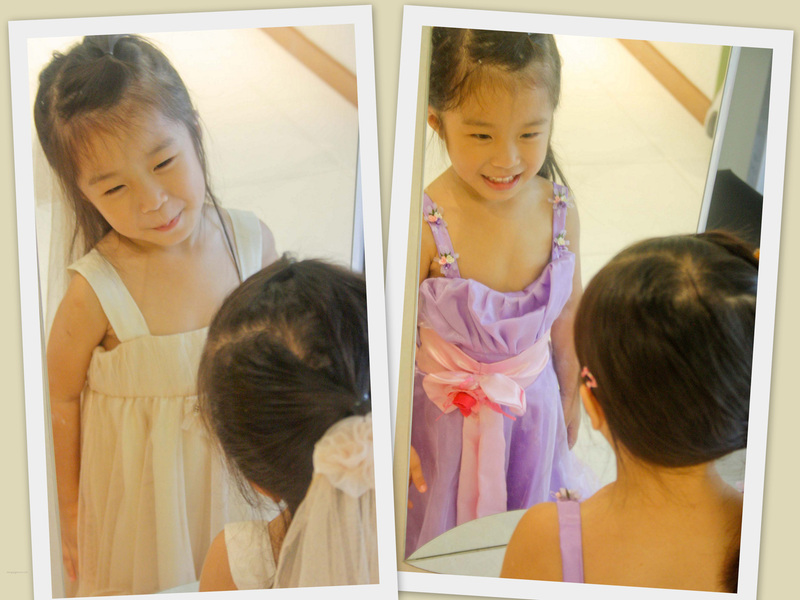 My little princess loves fancy dresses! Angel looks so princessy in her dress. I would love to win this and get Sophie a princess dress for Christmas too! My girl is going to be a flower girl in 2 weddings this Oct. she will look really gorgeous in a dress from here! I would love to win this for my little gal so that she can wear for christmas party at the end of the year !!! So pretty! Like to win it for my 3yo. 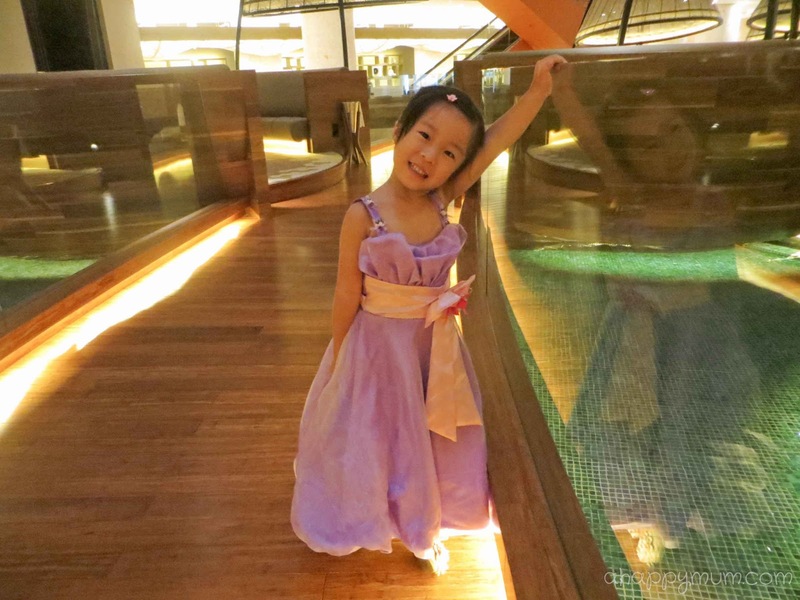 My daughter favourite saying: "Im a princess!" My girl's dream is to be a princess!! Her birthday is coming soon. Hope she is blessed to be a princess on her big day!! Hope to win for my little princess so she can wear to a few coming weddings.